Dates, Locations, and Trainings to become a paid canvasser or a volunteer to swing California districts 10 and 21 with Working America! 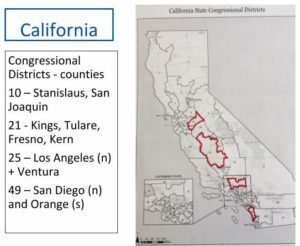 VOLUNTEER OR WORK WITH WORKING AMERICA IN CALIFORNIA SWING DISTRICTS 10 AND 21! 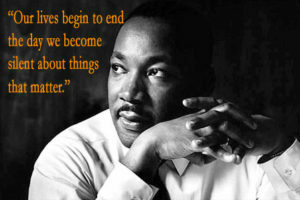 Engages in year-round canvassing, going door-to-door not just in election years. Working America is also considering launching a naturalization program, which could make citizenship training available in places where interested people would otherwise find it difficult or impossible to get to such classes. Analysis of the results of the 2016 elections helped lead Working America to take on the challenge of flipping Congressional seats in 2018, with the initial focus on Congressional Districts 10 and 21. 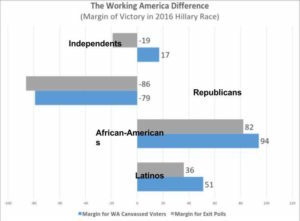 As a non-partisan group, their intent is to oust Representatives whose voting record doesn’t support the interests of working Americans. 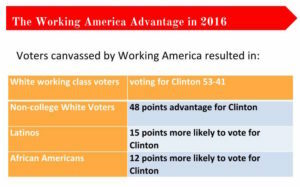 In 2014, Working America members canvassed twice (once early in the cycle and again during the election) turned out at a rate 3.5 points higher than those canvassed only once earlier in the year. 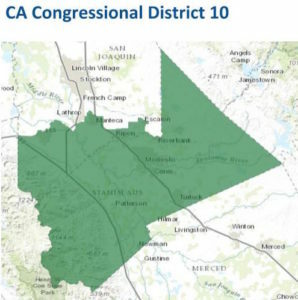 The Bay Area’s swing district, California Congressional District 10, encompasses an area of the northern San Joaquin Valley. Jeff Denham, a Republican and former State Senator, has represented the district since January 2013. In the last election, Jeff Denham won this district by only 8,201 votes (3.4%). 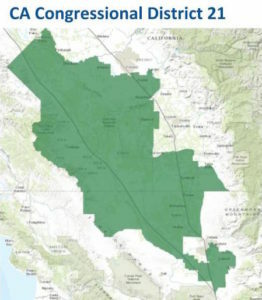 California Congressional District 21 is centered in the San Joaquin Valley, and includes areas of Fresno County, Kern County, Kings County, and Tulare County. Cities in it include: Coalinga, Delano, Hanford, and outer parts of Bakersfield. The district is currently represented by Republican David Valadao. In the last election, David Valadao won this district by only 17,844 votes (13.5%). The 21st also tops several other “Most District” categories that are closely related: it’s the district with the highest percentage of workers employed in agriculture (28.5% of workers). It’s also the most male district, with 52.5% of the population being male, and the nation’s district with the highest percentage of families with children (46%). The representative in the 21st, since redistricting in 2012, has been Republican David Valadao. Help swing these states to Democrat so these counties, with some of the most needs in the country, have access to education, healthcare, good wages, homes, and a more fair justice and immigration system. 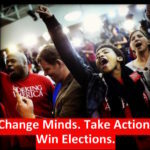 Find out how you can become a paid canvasser or a volunteer to swing California districts 10 and 21 with TRAINING & SUPPORT from Working America! Brent Turner of CAVO, fighting for an open source system so the entire process is transparent, secure from any bugs (planted or otherwise), and with a clear chain of command. Pedro Hernandez of FairVote committed to the immediate goal is to bring rank voting into specific areas and to push for voting day to be a national holiday.More than a decade ago, FairVote is also the leading institutional voice calling for the establishment of an explicit individual right to vote in the U.S. Constitution. Eric Johnson of We the People works across the nation on phone banking, one campaign outreach tactic for candidates. How does phone banking work, what do you say, and how to get involved. There are phone banks on April 2, 2-4pm (RSVP here) and April 8, 1-5pm with multiple shifts (RSVP here for 1-3pm and here for 3-5pm). The systems employed in tallying votes. Currently, the systems used to tally votes are corporate owned and proprietary. There is no transparency, no clear chain of command or oversight, and no security leaving these systems vulnerable to hacking. California is on the forefront of solving this to ensure votes are counted with precision and security. We invited one of the forerunners of change on this issue, the California Association of Voting Officials (CAVO). 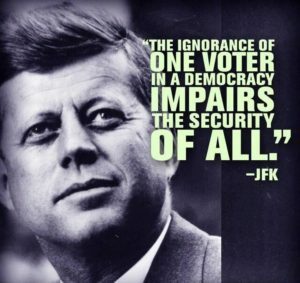 CAVO’s mission is simple: To ensure that the will of the people is being honored and that democracy is protected we must mandate the use of the most secure and transparent voting systems available. The way a winner is decided. The winner in most elections is the one with majority of votes, even if that majority entailed just one percent. 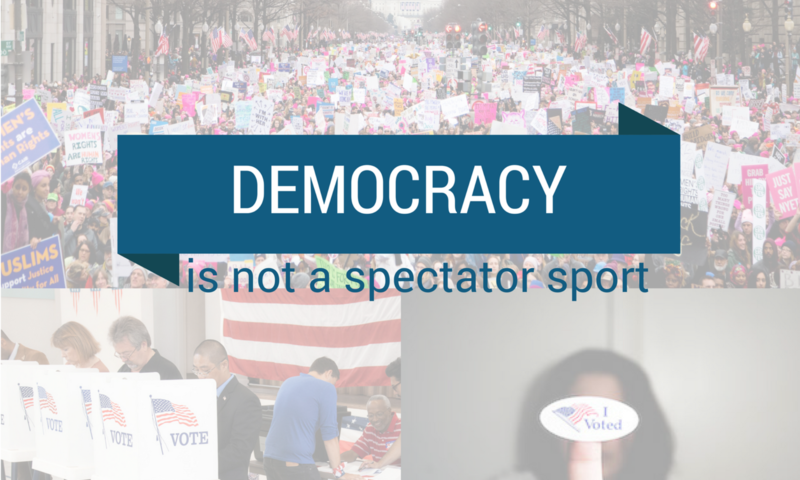 FairVote believes that not only is this current method is not democratic where the majority may not be represented but it also limits the candidate pool, completely shuts out any other minority voices, and fosters polarization. What is ranked voting and can that be the answer in future elections? How can you bring it to your town? And how can you take just step to ensure voting is more accessible, by making election day a national holiday! Campaign tactic: phone banking. One way candidates garner supporters is through phone banking. Speaking to your representatives has now finally gotten attention, so being able to call a rep is also crucial for civic engagement on issues. Let We the People who work with candidates across the country explain what phone banking is, how it works, how you can participate in upcoming elections. Saturday, April 8, 1–5pm, Howie’s Pizza, Redwood City, 837 Jefferson Avenue, RWC 94063 Come for one or both shifts! Bring your laptop and cell phone, and any snacks you want to share. FairVote: Make voting day a state holiday in California. Advocate on behalf of ranked choice voting for your town or city. If you would like to get involved in reforming your city’s election system, please contact me at pedro@fairvote.org. Redwood City could adopt ranked choice voting! Stay updated by signing up at fairvoteca.org. Download FairVote’s one-page PDF on What is Ranked Choice Voting? We are also supporting AB 674, which adds a new state holiday on the first Tuesday after the first Monday in November to coincide with every statewide general election! AB 674 adds a new state holiday on the first Tuesday after the first Monday in November to coincide with every statewide general election. Currently, the bill will go through the Elections Committee next week, followed by the Governmental Organization Committee. We are asking folks to call their state representatives from these committees over the next four weeks. Members of the Elections Committee include Low, Harper, Cunningham, Berman, Calderon, Mullin, Weber. Members of the Governmental Organization Committee include Gray, Bigelow, Acosta, Aguiar-Curry, Bocanegra, Bonta, Brough, Cooley, Cooper, Daly, Gallagher, Garcia, Gipson, Gloria, Jones-Sawyer, Kiley, Levine, Low, Rubio, Salas, Waldron. I support making Election Day a holiday because it makes voting more convenient, increases voter turnout, and creates a larger pool of poll workers and election volunteers. Doing so would allow people to vote at any point in the day, not just before or after work. This would increase access to voting and decrease voting lines during often crowded times at the start and the end of an Election Day. An Election Day holiday would also greatly increase the number and diversity of pollworkers that are available to help our polling places run efficiently.